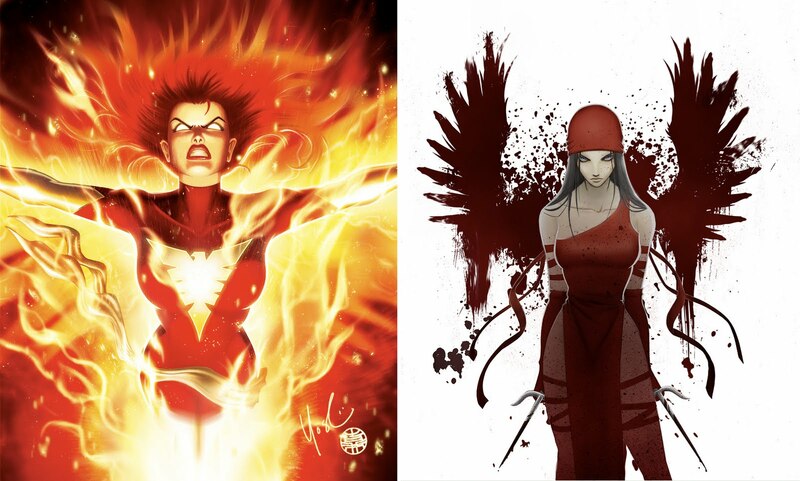 It's no secret The X-Men have some of the coolest female characters in all of comics, and Psylocke is chief among them. The odd thing about her though is, many artists draw her as European looking lady with a tan, rather than capturing her Asian comic book history. This piece by dA's Protokitty not only nails Betsy's heritage, but through a mix of pencil shading and photoshop colour, creates a soft alluring piece, that isn't overly detailed, but still gives a sense of 'crouching tiger, hidden dragon' to this ninja-trained telepath. Definitely an artist to keep an eye on, while Lynne's deviantArt gallery is modest in size, it is still worth taking a look at, if not only to see her takes on the ladies of Marvel, Death from the pages of Sandman, Hulk and more. In fact you can do that very thing right after the jump. 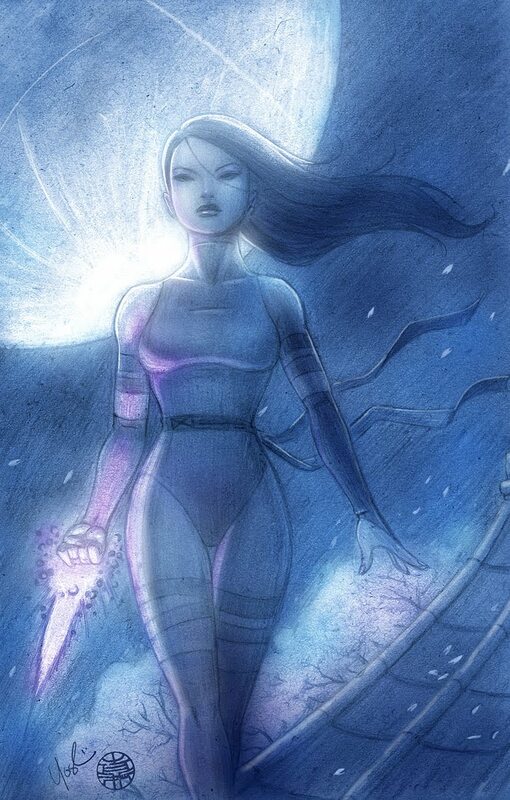 Thanks again Dan, posting another sweet Psylocke image for us fans. Although I think I like the Electra print better. That's just plain sick. No worries Craig - one of my friends as Elektra's biggest fan - seriously - and she's printed that off and plastered it on any surface uncovered pretty much she liked it so much! Good idea. I just put the pic up on my desktop.